TradeStation is a popular brokerage among technical traders and has one of the most impressive trading platforms in the brokerage industry. Their trading platform offers powerful searching, testing, automating and customization capabilities. With TradeStation you can trade across a variety of markets such as stocks, options, futures and forex. It’s a very powerful trading platform that always seems to rank among the best in the industry each year, but it’s not for everyone. In this TradeStation review, I am going to go over what TradeStation has to offer to help you determine if using them as your broker and as a trading platform is right for you. If you’ve used TradeStation before, then feel free to add your own review below in the comments. TradeStation (formally TradeStation Securities) is an online brokerage company based in Plantation, Florida. TradeStation was first formed as Omega Research, Inc in 1982. They launched their trading platform back in 1991 for institutional trader markets. You can choose between a flat-fee commission or per-share plans. The per-share commission rate is $0.01 per share up to 500 shares and then it is $0.006 per share thereafter. The beauty of TradeStation is its ability to customize, design and back test your strategies using several years of historical data. Once you have a strategy picked, their tools allow you to optimize, monitor and automate trading easily. If you don’t have your own trading system or don’t want to write your own system, you can use the Strategy Network, which is like an app store designed to put strategy-based trading within the reach of every trader. TradeStation Strategy Network features back-tested, ready-to-use strategies, developed by independent, unaffiliated trading software developers. TradeStation clients can sort, rank and compare strategies and other criteria to find the strategies best suited to their trading objectives. These strategies then can be downloaded directly to your TradeStation trading platforms. Quick Tip: If you are looking to learn more about how to build trading strategies with TradeStation, there is a book on Amazon called Building Winning Trading Systems with TradeStation that is a little more in-depth than the free training resources they offer. Advanced trading tools (technical and fundamental), automated trading. A variety of customization options available with its trading platform. You can build and automate your trading strategies by creating trading rules. Execute your trades automatically, monitor your positions and then exit according to your strategy. Access to a variety of educational resources to help you generate new trading ideas and improve trading. Trade multiple products all from the same platform (stocks, options, futures and forex). The ability to back-test and paper-trade your ideas before you risk a cent. TradeStation is not for everyone and I wouldn’t recommend it to investors that are not active traders. Another thing that I feel is a drawback of TradeStation is its per-share commission. I wish it was more a little more competitively priced compared to other brokers such as Interactive Brokers. If their per-share commission rate was slightly cheaper it would be much more attractive. 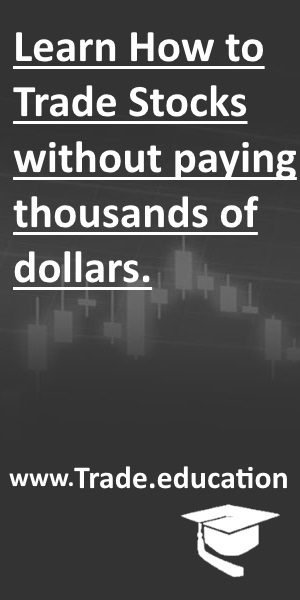 But, I guess that is the price you pay for their powerful trading platform. Here are some other drawbacks to TradeStation. The trading platform can be difficult to learn for beginners. You are charged a trading platform fee if you do not meet a minimum trade in the previous month. TradeStation allows you to trade over-the counter stocks (penny stocks) available through the OTCBB or Pink Sheets. TradeStation charges $0.01 per OTCBB and pink sheet stocks up to 10,000 shares, and $0.005 per stock thereafter. There are no surcharges and fees for Pink Sheets/OTCBB/stocks under $1. Opening an account with TradeStation is easy; it can be done online by providing the required information. TradeStation accounts can be opened in a variety of countries. Tradestation offers a large number of account types to choose from. You can open an individual or a joint account. You can also open corporate, partnership and trust accounts. In addition, retirement accounts can also be started. Tradestation offers Traditional, Roth and SEP IRA accounts. The minimum to open an account with Tradestation for non-daytrading is $5,000 and for is daytrading $30,000. In this TradeStation review I’ve tried to cover as much information that I thought would be useful if you’re thinking about opening an account. As you can see, TradeStation is geared for the more active traders and not for retail investors who have a longer term strategy. So basically what it boils down to is if you’re a technical trader and trade actively who’s after direct access and ease of use, you should at least give TradeStation a try to see if it is for you. If you’re just looking for a basic brokerage to invest with then it is better to look elsewhere. Visit the TradeStation website for more information.